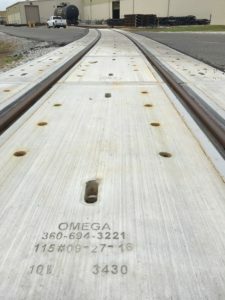 Omega custom designed lag down precast railroad crossing panels for this 10 degree curve grade crossing at a manufacturing facility in Louisiana. 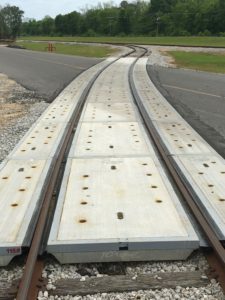 We met with the railroad contractor at the jobsite to field measure the track structure to determine the degree of curvature. 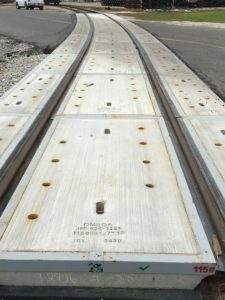 Omega manufactured the panels to fit the degree of curve, rail size and tie length for this application.